Rock ‘n’ roller. Motorcyclist. Seasoned customer acquisition / eCommerce / online marketing jack of all trades. I eat, breathe and sleep a high-octane mixture of motorbikes, music, and online business. Oh, and let’s not forget coffee. I live in Oakland with my lovely wife Angelica, who likes to make stuff. 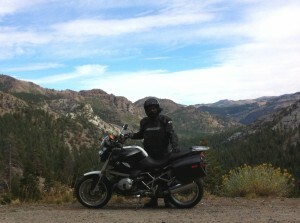 I ride a 2011 BMW R1200R, that hasn’t been washed since I rode it out of SF BMW. I play an old G&L ASAT Leo Fender signature model through an equally old but much more beat up Mesa/Boogie Tremoverb. I’m a true believer in the power of the web as communication medium, marketplace and brave, continually-new-every-day world. I run online acquisition programs at ROI DNA, where we work with brands like Norton, Malwarebytes and Ning. I’ve worked with startups like Joyus, Rypple and Reputation.com as well as brands/online retailers like Go Smile and Skinstore. Check out my LinkedIn page if you want more information about my so-called “professional” background. This blog is a little side project for me—somewhere I can document my ideas and experiences and maybe test a few things out and also write about miscellaneous stuff that I’m into. What that means is that while I’d like to write a detailed analysis of some cutting edge customer acquisition campaign I’m working on right now, I don’t have much time spare time for that sort of thing, so bear with me while I get the fuel mixture dialed in and the engine firing just right. Hot rod action coming soon!